Drupal CMS is considered as number one content management system trusted by thousands of organizations throughout the world. We at Raghwendra Web services are an ardent follower of Drupal CMS technology and apply it in developing blogs and websites at large. 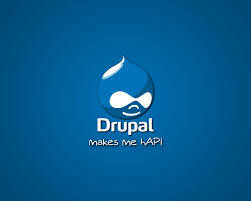 Drupal is considered as next generation CMS because of its speed and flexibility. Large and complex websites use drupal to quicken the process of building them. Since there is no license fee for drupal, it becomes easier to use it efficiently. World class design, layout and content of the website is what drupal aims to achieve. Drupal is free, open source content management platform that helps in development of millions of websites and applications. It can be adapted to virtually any design. It has widespread applicability among the users throughout the world. Why we choose Drupal for your site? Millions of websites have been developed worldwide using drupal and that’s why we trust it. The highest standard of quality is delivered on usage of drupal CMS. A big amount of money is saved as there is no hosting fee. 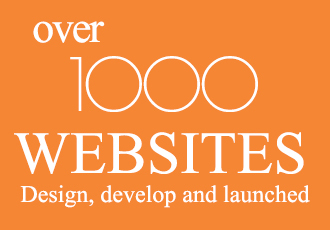 It offers scalable platform for both big and small websites and allow for growth. We, at Raghwendra Web Services work nearly on several projects at a time. You might be having your own team of developers but due to time and resource crunch, you can hire our dedicated team of developers. We can work at your place or you can outsource the projects to us which will be completed by us within deadlines. Our Drupal Designer can add to the skills that already exist in your team. We can, in fact complete several Drupal projects, all under your company’s name. We ensure that your Drupal website is kept up-to-date especially those with security concern. We help site editors who aren’t familiar with Drupal’s layout. We offer assistance when it comes to new functionality requirements. Installation and configuration of new drupal modules is performed by us. We even take care of performance assessments. Raghwendra Web Services not only create custom drupal websites but go a way beyond that. Our drupal based websites include custom built Drupal modules like theme specific modules. Every drupal project enjoys our vast knowledge of drupal theming framework and theming standards. Moreover, we even add SEO and Social media capabilities on them. Thus, our work is considered top class and of highest quality standard. The earlier versions of Drupal like 5 and 6 have been updated to Drupal 7 and we, at Raghwendra Web Services use the updated versions thus becoming a follower of latest technological updates. We know that upgrading to a new version requires time and effort because a lot has been changed between the versions. However, we keep us abreast with these developments and use new features while developing drupal based websites.